Polyporus (Polyporus umbellatus, Grifola umbellatus, Zhu Ling, choroš oříš) is a wood-decaying mushroom pertaining to the Polyporaceae. It can be found on the basis of healthy deciduous trees, also on wounded or dead trees and stumps. It often attacks oaks, hornbeams and beeches. The sporocarps of Polyporus grow out of the stem, which extends from the tree and branches into other "small mushroom legs". On the end of these small legs there are tiny, regular and inwardly squeezed caps, forming a kind of a cluster. Thanks to this, the entire sporocarp may have more than 50 cm in diameter. Polyporus grows in mild climate zones, i.e. in North America, Europe and Asia. It is also possible to find it in the Czech Republic, especially in Polabí, South Bohemia, Moravia, etc. The demand for this mushroom is high, so it is grown commercially. Polyporus was scientifically documented in 1801, when C.H. Persoon named it Bolletus umbellatus. In 1821, Polyporus was included in the genus Polyporus by the Swedish mycologist E.M. Fries. However, Polyporus had been known long before, especially in Asia, where it was mentioned about 2500 years ago. At that time, it was used as a medicine, as described in writings from the Han dynasty period and in the herbaria (ShenNongBenCaoJing, ZhongHuaBenCao, BenCao Gang Mu). It was then used to solve swelling, water drainage, diarrhoea, etc. These effects have also been confirmed by modern science, in many studies and trials. 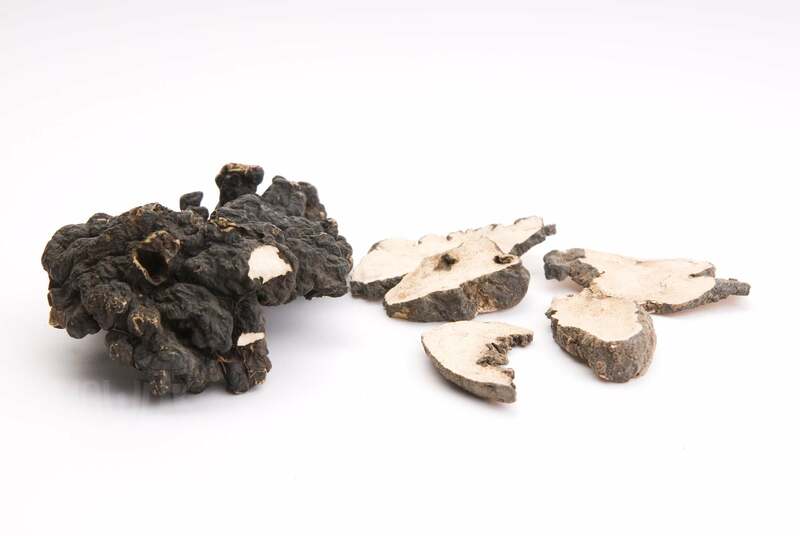 Polyporus is like a balsam for our health, especially for the urinary tract, the immune system and liver. Nevertheless, it can do much more, just try it out.